Article publication « Cross-subsidies tied to the introduction of intermittent renewable electricity. 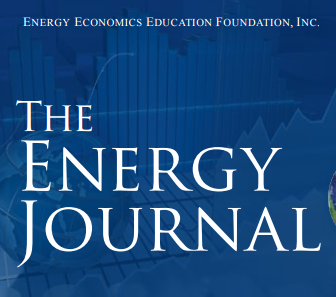 An analysis based on a model of the French day-ahead market » by Jacques Percebois and Stanislas Pommeret in The Energy Journal review. The introduction of renewable energy paid off-market disrupts the demand-price relationship in wholesale electricity markets. Drawing on 2015 hourly data from France’s electricity transmission network operator (RTE) and the French day-ahead spot market, this paper attempts to quantify the disturbance observed and the transfers of revenues among consumers, producers and providers. This study calculates, through a modeling of the day-ahead market, the impact on conventional electricity producers in France in terms of the loss of economic value owing to the introduction of renewable energies. In the same time consumers benefit from lower electricity prices but have to pay for feed-in tariffs. Renewable electricity producers and electricity providers are also the winners. An estimation of the cross-subsidies induced by the injection of renewable electricity is given.